How do i design a great Gamification experience? What are the main points that i have to take into account before even thinking about game elements? And most important of all, do we fully understand what we are doing? OK! Here we are again! 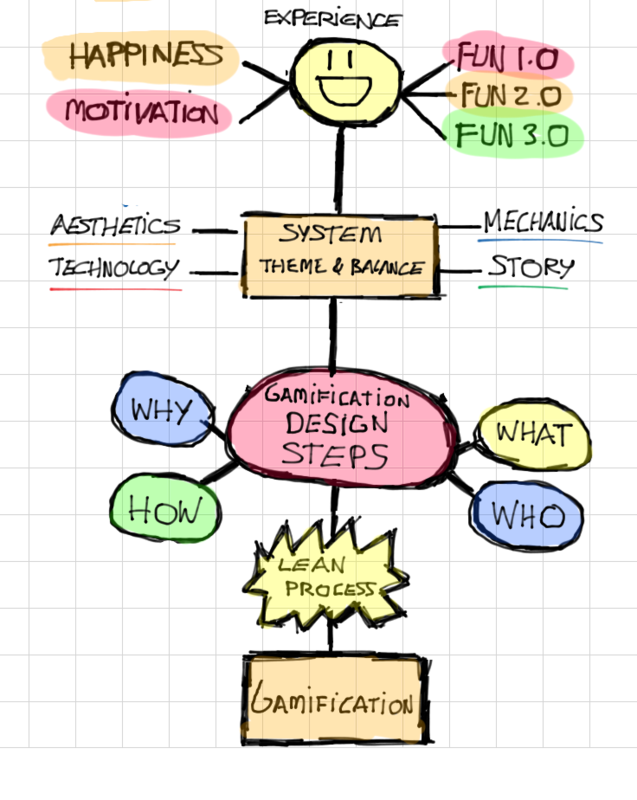 Now we remember again that gamification is all about designing fun experiences that lead to happiness and motivation and that one of the most important parts of the design process, is the very beginning. 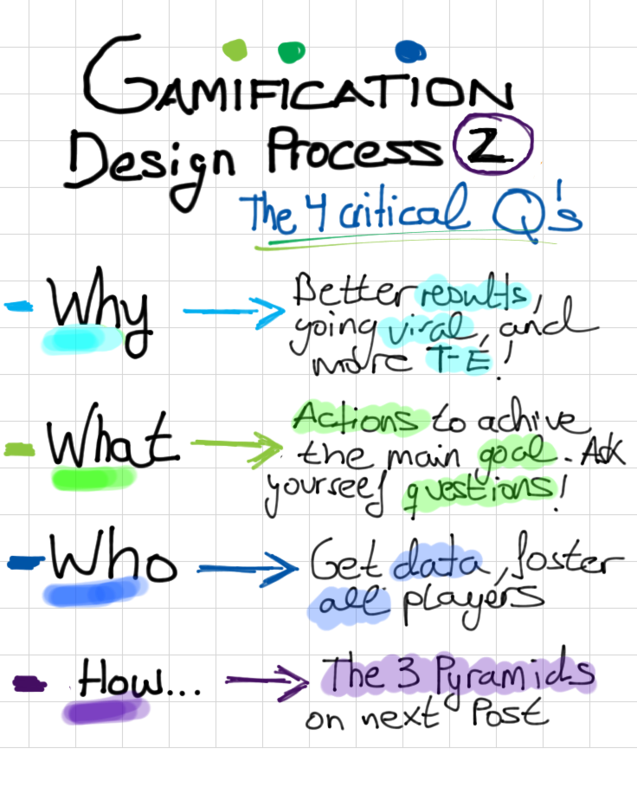 Because in the end, designing gamified experiences is like a game, we need to have a goal (the WHY) in order to know what actions to take (the WHAT and the WHO). 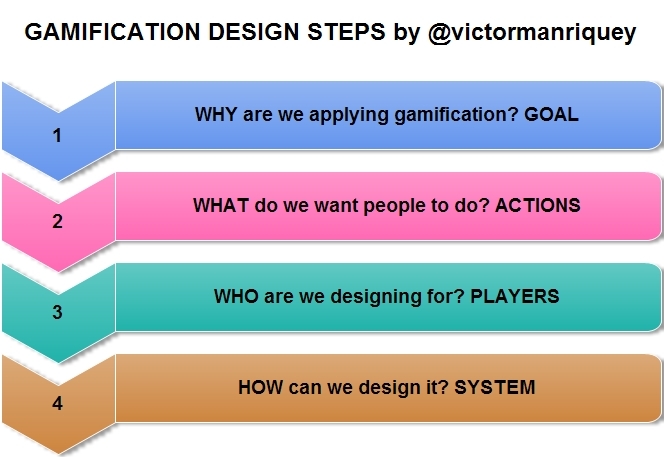 So, as we have seen before, there are 4 questions to take into account when designing a great gamification experience: WHY, WHAT, WHO and HOW. In this post, we are going to analyse the first 3 of them, leaving the How and the model that describes it ("The 3 Pyramids") for the third and last part of these series, once we have already mastered the answer to the others. What is clear, is that gamification is a very powerful tool for attracting more players to your system and we' ll see how to do that in following posts on this blog, when talking about mechanics in greater detail. 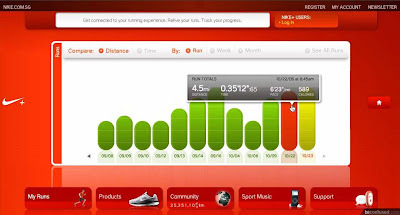 - Why are we applying gamification? What is the goal, the purpose of it? - What actions could take our players to achieve that? What is the core of them? - Are those actions related to the objective in some way? Does it make sense? - Nike wants to sell more of their running trainers, so they want people to run more, and become more active. - Karmacracy wants to gain more users so they want people to share more links, be more social and use their links instead of goo.gl ones. 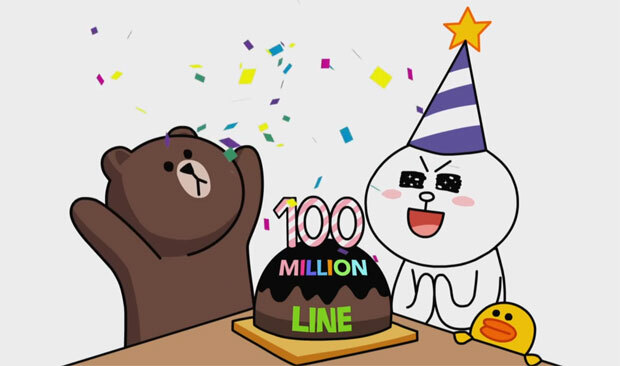 - Line wants to become the number one chat app gaining loads of users and engaging them in more activities rather than texting, so they want people to use all of their services, use their chats more effectively and create buzz about it. 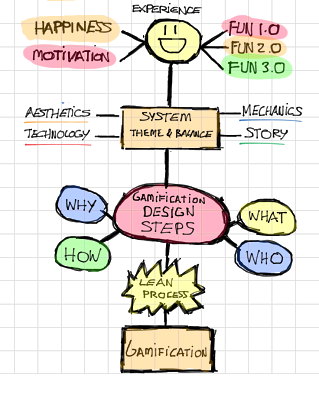 And i say this, because there are many gamification player types models (check out mine based on Andrzej Marczewski here: http://www.gamasutra.com/blogs/VictorManrique/20130524/193007/Gamification_Player_Types_The_TimeEngagement_Pyramid.php) but they are all very useful when we GET the data. Without any reliable data they are less powerful. So now we now the goal of our gamified system, the actions that will help us achieve it and the kind of people that will use the platform! 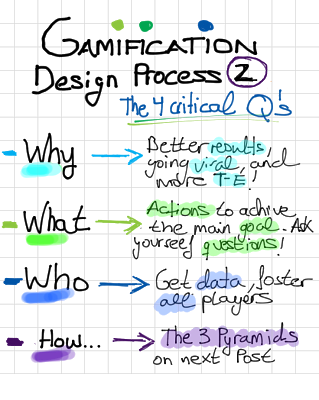 I think it's time to start diving into the amazing world of the our last design step: how to create a gamified system using mechanics, aesthetics and stories! But that will be in our next post! 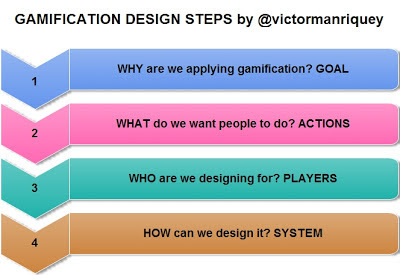 Don't miss out the exciting end of the "Gamification Design Steps" series! 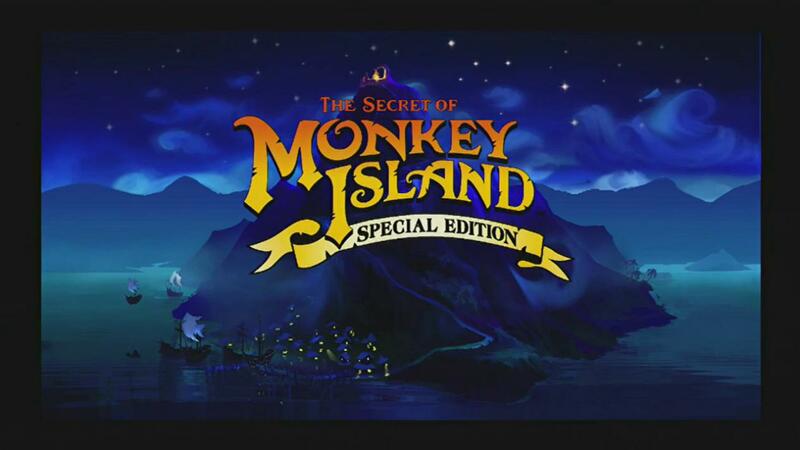 It will lead to a new world of magic and fun!